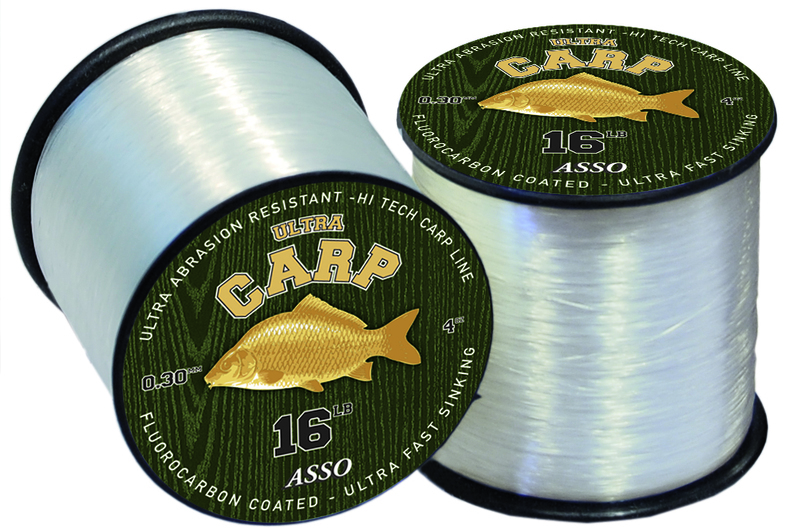 Asso Ultra Carp is a high quality copolymer with a fluorocarbon coating. Using fluorocarbon coating means a line can offer the benefits of a quality copolymer like suppleness and low memory along with the benefits of Fluorocarbon like high strength, abrasion resistance and added weight to encourage sinking. Normal monofilaments and copolymers absorb water molecules after being wet for a few hours, this reduces the strength by around 15%, a coating of waterproof fluorocarbon prevents this meaning the full strength is retained. Asso Ultra Carp has been tested by Carp Anglers around the world and has proven to be one of the most popular carp lines ever. The amazing strength and durability of this line will become obvious from the first cast!